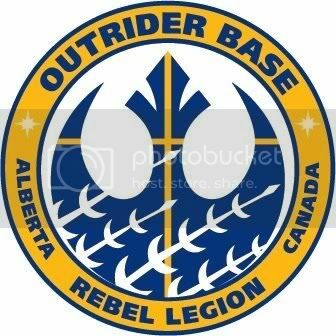 Here is Outrider Base's logo. It was designed by Erin Montemurro. We have a couple of R2 builders out here, but they don't have a local division for them that I'm aware of. Cool, thank you for sharing the crest and intel. When the design gets ready, i will put it between the PR stuff of the RL so every one can download and print it out ... if they want.